Mullach Glas is the middle peak in a group of three 600m peaks at the SE end of the Maamturk Mountains. Sometimes called Shannagirah. Mullach Glas is the 251st highest place in Ireland. Mullach Glas is the second most southerly summit in the Maamturks area. 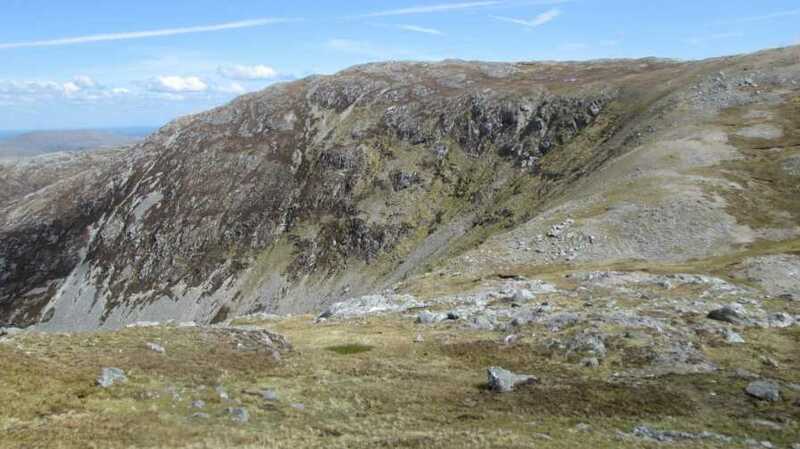 Picture from David-Guenot : Mullach Glas, as seen halfway down from Binn Mhor sior Barr. Picture: Mullach Glas, as seen halfway down from Binn Mhor sior Barr. A flat summit with sheer cliffs and fine views.